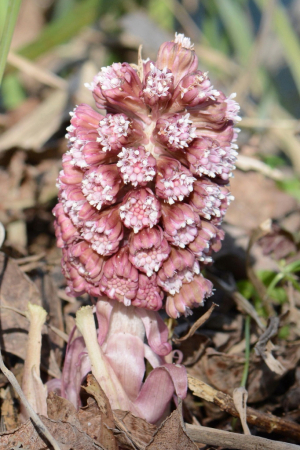 Observation - Butterbur - UK and Ireland. Description: Amazingly a flower that I have not seen before, so I returned to a spot on the banks of the River Kennet where there is a huge stand of Butterbur leaves later in the season. I was not disappointed with a huge expanse of flowers and the odd emerging leaf. Amazingly a flower that I have not seen before, so I returned to a spot on the banks of the River Kennet where there is a huge stand of Butterbur leaves later in the season. I was not disappointed with a huge expanse of flowers and the odd emerging leaf.